This was originally a contract piece of a client's daughter, but the face was so perfect, I added it to the Flower Faeries Series. The insert shows the subject when she received a poster-sized print of her Fantasy Portrait! 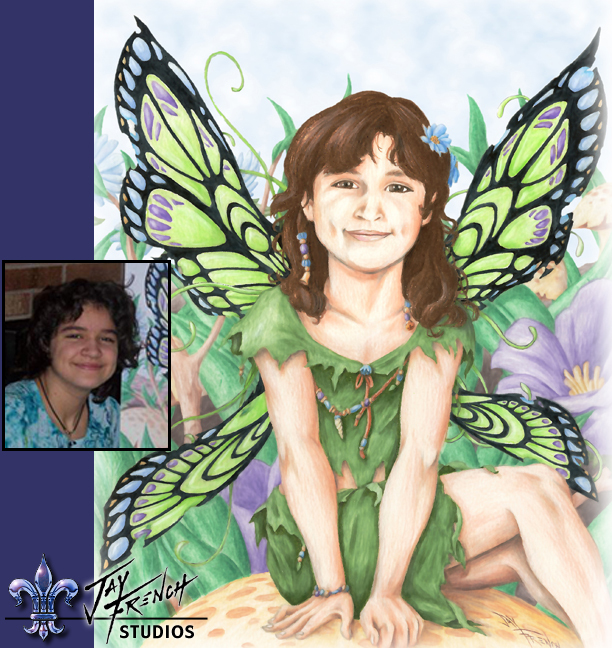 Click the image to view merchandise with "Green Faerie"